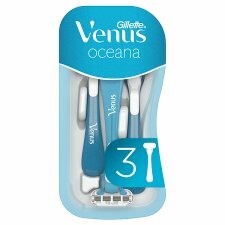 Gillette Venus Oceana women's disposable razor gives you a close and clean shave in just one stroke. These 3-bladed razors feature a MoistureRich strip with a touch of aloe for glide, and soft protective cushions to guard against nicks and cuts. 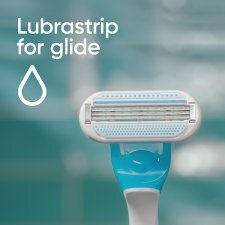 Ideal for a close and clean shave in a single stroke.